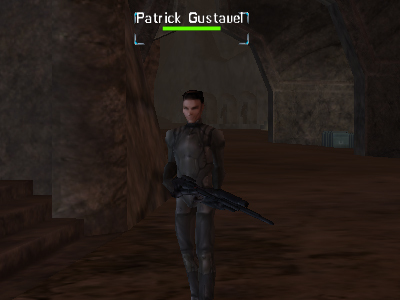 Patrick Gustavel can be found wandering around the Central Hub area. When you speak to Patrick Gustavel, you can ask him about whether he has ventured into Arid Rift. He seems to like the idea of getting his own hands on the shiny things. He also did not appear to like speaking to a "corporate pup". What can I say, I just like trying to talk to everyone!